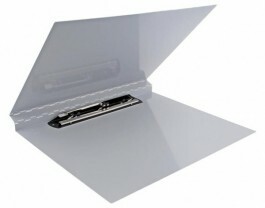 17 x 11 Aluminum Clipboard w/Fold Over Cover - GS Direct, Inc.
Our 11" x 17" aluminum clipboard with a fold-over cover from 11x17 acts like a binder to hold and conceal your 11" x 17" drawings or documents. The lever hinge clip is centered on the 17" side to secure and display your work. Fold the sturdy aluminum cover to the back to expose your documents. Includes a 6-month warranty against defects..